Our aromatic salve is a powerhouse from nature, making this the perfect tool in your arsenal of 100% natural and 100% organic healing aides. 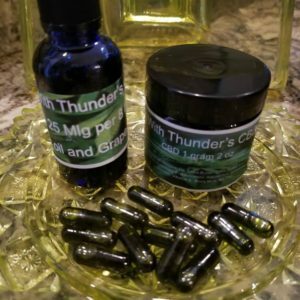 Walks With Thunder’s earthy and soothing aroma can be used to melt the pain away without the overwhelming others, even while out in public. 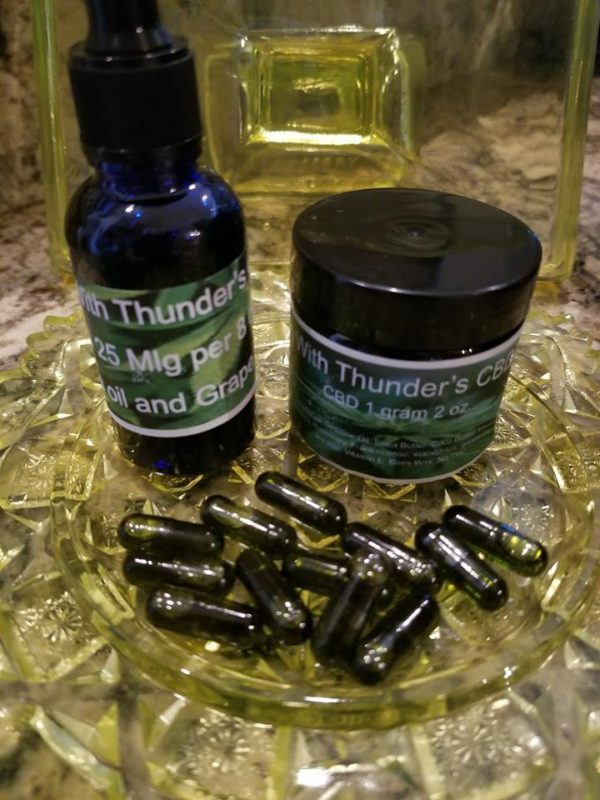 Walks With Thunder CBD Salve is designed to feed and nurture your skin and engineered to amplify CBD’s ability to achieve a sustainable and harmonic equilibrium – so healing can actually occur. This masterfully blended salve includes Shea, Cocoa, Calendula oils and infused with 6 different botanicals / essential oils (Rose Petals, Lemongrass, Lavender, Basil, Calendula, and Rosemary). We used Shea, Cocoa, and Calendula as they are natural sun screens; allowing you to have the applied area in the sun. Rose Petal Essential Oil is used for its ability to uplift your mood, Lemongrass for its ability to purifies and tone your skin. Lavender is used to bring peace and calm. Basil is used to reduce anxiety, Calendula is used for its ability to reduce pain and inflammation and allow growth to occur. 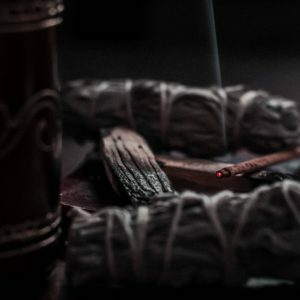 Rosemary is used its antioxidants and anti-inflammatory properties as well as its ability to boost immune system and improve blood circulation.